4 sealed hotplates provide pan heating with the front 2 "redspot" zones providing rapid heating. With a 58L capacity fan oven, whether you're cooking for yourself or the whole family, cooking meals is made easy and effortless. The Fan oven allows for even temperature distribution across the whole oven - you can be assured of great results no matter which oven level you use. 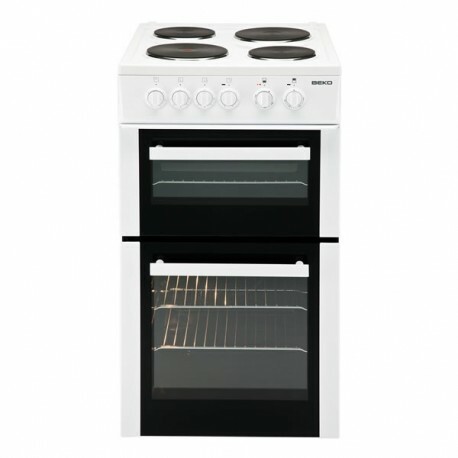 Great for cooking a variety of foods at the same time, you can cook your chips in the oven whilst grilling your chicken or steak in the top cavity. Unlike older models, all beko cookers now have a full glass inner panel. By eliminating bumps and grooves where dirt easily accumulated It makes the doors easier to wipe clean. On this model, the glass in the top cavity can be removed completely for even easier cleaning if required. 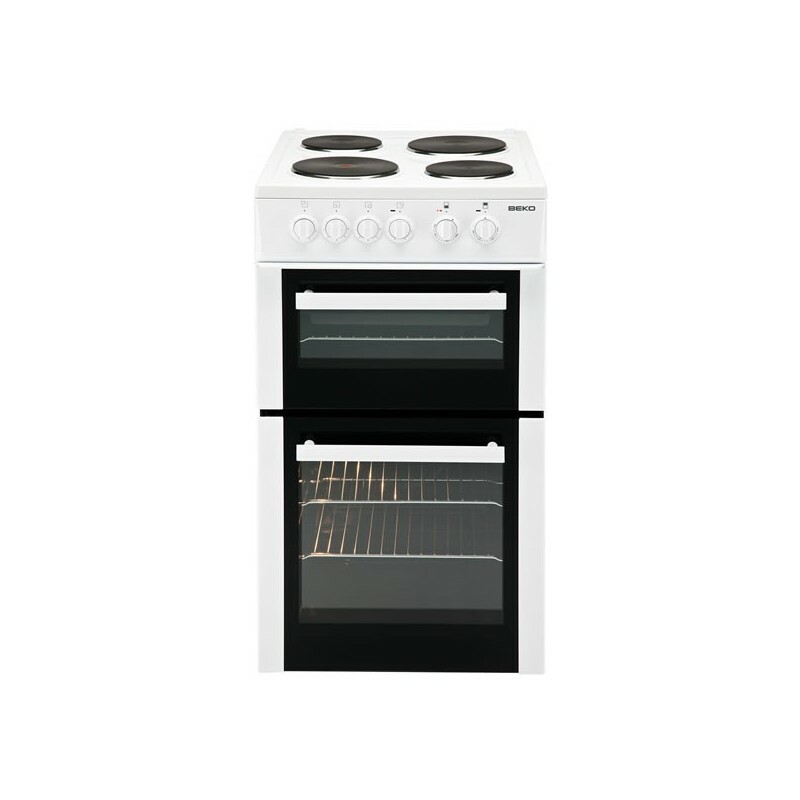 When it comes to cleaning, the hardened enamel oven lining on Beko cookers will make cleaning less of a hassle. The main oven on this model comes with a circular lamp at the back of the cavity to make seeing your food cooking in the oven easier. This Beko oven scores "A" for energy efficiency.